CP/IND/MURP. One of the most important of the CPGB's founding leaders, J.T. (John Thomas) Murphy, known as 'Jack', took on a number of key party responsibilities over the course of the 1920s. 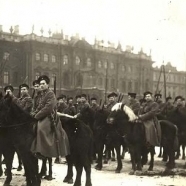 As CPGB representative in Moscow between 1926 and 1928, he took on a key supporting role in a wider history as the man who moved Trotsky's expulsion from the Executive Committee of the Comintern in September 1927. Though remaining a loyal follower of Stalin, whose hagiography he later published, Murphy in 1932 provided a rare case of a high-level expulsion from the CPGB over a seemingly recondite issue. In other countries, where the forced or voluntary exclusion of leading party figures was rather more frequent, their papers and reminiscences provided a fruitful source for historians. Murphy too published an interesting though not sensationalist volume of autobiography. However, his papers did not become accessible until after the demise of the CPGB, when they were located in the possession of his family by Murphy's biographer Ralph Darlington. 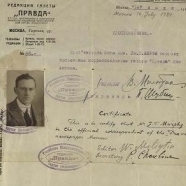 Though Murphy's early activities are more fully documented in Moscow than in Britain, the papers provide insight into his views after breaking with the party and include draft letters to the deposed American communist leader Earl Browder. 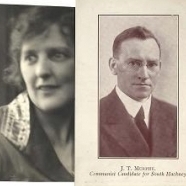 The deposit also includes material relating to Murphy's wife, Molly Murphy, who served as a nurse in the Spanish Civil War. Her autobiography, partly scripted by her husband, has since been published under the editorship of Ralph Darlington. CP/IND/MURP/01/01 to /01/03. 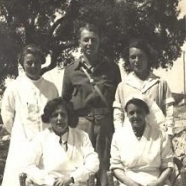 Three files relating to Molly Murphy's participation as a nurse in the Spanish Civil War during the period 1936-1939. CP/IND/MURP/01/04 to /01/09. Correspondence with other Communists in Britain and America, drafts of chapters and articles for publication.